Multi-platinum performing artists Disturbed will partner with the USO for the first time and visit Airmen at Creech and Nellis Air Force Bases. Each visit will allow the band to engage Airmen at their places of work and to meet Airmen and their family members during meet and greets. "We are honored every time we are able to perform for our troops and pay our respects to our service men and women. They sacrifice so much for their love of our country, and we look forward to partnering with the USO for the first time as a Force Behind the Forces to bring them a moment of escape from all that they do for us on a daily basis," Disturbed guitarist Dan Donegan said. Disturbed has a deep appreciation for service members. That appreciation led to a partnership with the USO to visit service members and perform their newest material during a two-day break in their schedule. "Disturbed has an enthusiastic military fan base, and we at the USO are excited to bring them directly to the fans who appreciate them so much. We hope this will be the first of many partnerships with them and other Warner Brothers Records artists as we continue to keep service members connected to family, home and country," Mari Villalobos, Director, Entertainment Relationships, said. In addition, the band will perform for military ID cardholders and their guests. Performances will include material from their new album 'Evolution' releasing Oct. 19. 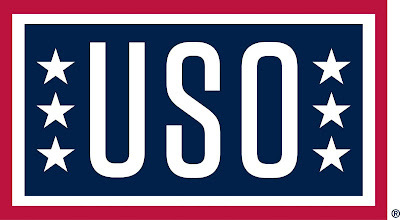 In addition to individual donors and corporate sponsors, the USO is supported by President's Circle Partners: AT&T, Bob & Dolores Hope Foundation, The Boeing Company, Clark Construction Group, LLC, The Coca-Cola Company, FedEx, Harris Teeter, Jeep, Johnson & Johnson, Kroger, NFL, Southern New Hampshire University and Four-Star Partners: Altria, BBMC Mortgage, BIC, ConAgra Foods, GEICO, Lockheed Martin, Microsoft, Prudential, Target, TKS, USAA and the Wawa Foundation. We are also supported through the United Way and Combined Federal Campaign (CFC-11381). To join us in this important mission, and to learn more about the USO, please visit uso.org. Simply put, DISTURBED are one of the most successful rock bands in modern history. The multiplatinum-selling quartet accomplished the rare feat of achieving five consecutive number one debuts on the Billboard Top 200. That accolade historically elevated them to rarified air alongside Metallica, the only other hard rock group to do so in the history of the chart. Immortalized (2015) received a platinum certification and spawned the triple-platinum crossover smash "The Sound of Silence," which garnered a nomination at the 2017 GRAMMY® Awards in the category of "Best Rock Performance." Since their formation in 1996, the band has sold 16 million albums globally and scored twelve No. 1 singles at Active Rock Radio. Their quadruple-platinum 2000 debut, The Sickness, formally announced their arrival as hard rock leaders, with that status solidified by subsequent GRAMMY® Award nominations as well as gold-, platinum- and double platinum-certified records, as well as countless sold-out shows around the globe. 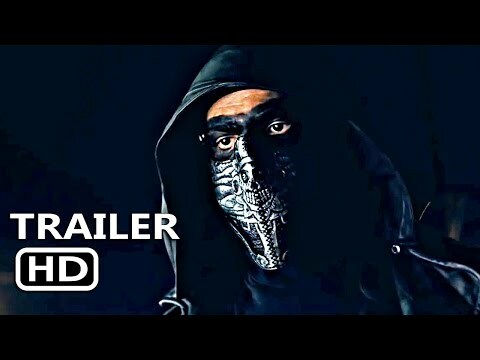 Named "Best Rock Artist" during the 2017 iHeartRadioMusic Awards, Disturbed continue to boldly forge ahead with the release of their aptly titled seventh offering, Evolution.